I am a translational researcher and my work aims to make a real-world impact on the conservation of aquatic ecosystems. I am always eager to supervise bright, passionate post-graduate students. As of June 2016, I have supervised 10 PhD students, and 10 Honours (including current students). I always have exciting, funded research projects available so drop me a line or call to chat about current oppotunities. I am also passionate about extending science to the community. I regularly engage with schools to conduct field days and workshops. I also appreciate the importance of media exposure for promoting research to the community. Since 2013, my research resulted in 105 media items including articles in the New York Times, Washington Post, Seattle Times, the Scientific American, Time Magazine (Asia), and BBC online among many others. My main research interest relates to understanding and addressing the threatening processes affecting freshwater ecosystems. Particular focus areas include the impacts of climate change, habitat degradation, water extraction, salinisation, introduced species and river regulation. I have also undertaken research into the population biology of crayfishes for sustainable management of fisheries. My research regularly features in the media including articles in the New York Times, Washington Post, Seattle Times, the Scientific American, Time Magazine (Asia), and BBC among many others. I always have plenty of projects being underaken. SwanTrack – tracking black bream to determine habitat use in relation to physiology and environmental conditions in the iconic Swan-Canning Estuary. Pilbara Freshwater Fish Documentary and Field Guide (State NRM Office): 2013 – 2014. Protecting fishes in the South-west Linkages Area (SWCC): 2013-2015. Between 2009-March 2018, I have secured (either Chief or co-investigator) 72 grants totalling >$4mill including 41 grants as Cheif Investigator (~$2.2mill). These awards and grants are reflected in my publication record. As of March 2018, I have produced 111 technical reports for a wide variety of goverment and industry bodies. This is in addition to 7 books and 63 journal papers. Beatty S.J., Tweedley, J., Williams, J., Allen, M., Morgan D.L. (2017) One-way traffic: Black Bream passage through a storm surge barrier. Australian Society for Fish Biology Annual Meeting, Albany, Australia. 2017. Beatty S.J., Ryan, T., Allen, M., Lymbery, A., Morgan D.L. (2016) Dams, rainfall, fires and fish: the links and opportunities for building resilience. Australian Society for Fish Biology Annual Meeting, Hobart, Australia. 2016. Beatty S., Close P., Morgan D., Allen M., Maughan J., Keleher J, Ryan T., Lawrence C. (2015). Conserving south-western Australia’s rarest and most threatened freshwater fishes. Western Australian State NRM Conference, Mandurah, Australia. Ogston G., Beatty S., Morgan D., Pusey B., Lymbery A. (2015) Implications of climate change on the aestivating Salamanderfish and the Black-stripe Minnow. Western Australian State NRM Conference, Mandurah, Australia. Tweedley J., Keleher J., Beatty S., Lymbery A. (2015) The fish faunas of an intermittently-open, seasonally inverse estuary. Australian Society for Fish Biology Annual Meeting, Sydney, Australia. Oct 2015. Tweedley J., Beatty S., Cottingham A., Keleher J., Lynch K. (2015)Past, present and future: mitigating historical management actions to preserve fish for the future. Poster Presentation Australian Society for Fish Biology Annual Meeting, Sydney, Australia. Oct 2015. Beatty S., Morgan D., Allen M., Keleher J. Whitty J., Lymbery, A. (2014) Vulnerability of Western Australian fishes to changing flow. Australian Society for Fish Biology/Australian Society for Limnology Annual Meeting, Darwin, Australia. June 2014. Whitty J., Morgan D., Allen M., Gleiss A., Keleher J., Beatty S. (2014) A review of the Fitzroy River, Western Australia sawfish project and the implications of its findings in regards to anthropogenic disturbances, Sharks International, Durban, South Africa. June 2014. Morgan D., Allen M., Ebner B., Whitty J., Beatty S. (2014) Detection of juvenile Green Sawfish (Pristis zijsron) habitat in Western Australian waters, Sharks International, Durban, South Africa. June 2014. Morgan D., Ramsay A., Allen M., Beatty S., Keleher J. (2014) Freshwater fish films and field guide for the Indian Ocean Drainage Division (Pilbara Province) Australian Society for Fish Biology/Australian Society for Limnology Annual Meeting, Darwin, Australia. June 2014. Tweedley J., Beatty S., Lymbery A., Ash A., Keleher J. (2014) Salty Goldfish? Goldfish can use wetlands as ‘bridges’ to invade new rivers. 10th Annual Wetland Management Conference. Seewraj K., Beatty S., Allen M., Keleher J. (2013) Fish passage for on-stream farm dams in the south-west of Western Australia: a large-scale case study Western Australian Freshwater Fish Symposium, Perth, Western Australia. Ramsay A., Morgan D., Beatty S., Allen M., Klunzinger M.B., Keleher J., Robert J. (2013) Community outreach: field guides and documentaries of Western Australian freshwater fishes. Western Australian Freshwater Fish Symposium, Perth, Western Australia. Murphy J., Lymbery A., Beatty S., Morgan D. (2013) Population genetic structure and cryptic speciation within five species of freshwater fish from the south-west of Western Australia Western Australian Freshwater Fish Symposium, Perth, Western Australia. Morgan D., Beatty S., Allen M., Ebner B., Keleher J. (2013) Fishes in freshwaters of Western Australia: an overview Western Australian Freshwater Fish Symposium, Perth, Western Australia. Lymbery A., Hassan M., Morgan D., Beatty S. (2013) A healthy river is one which is rich in (some) parasites Western Australian Freshwater Fish Symposium, Perth, Western Australia. Beatty S., Morgan D., Close P, Allen M., Lymbery A., Davies R., Ryan T., Lawrence C. (2013) Enhancing the prospects for south-western Australia’s rarest and most threatened freshwater fishes. Western Australian Freshwater Fish Symposium, Perth, Western Australia. Beatty S., Morgan D., Allen M., Keleher J., Lymbery A. (2013) Vulnerability of south-western Australian fishes to climate change: canaries in the coal mine Western Australian Freshwater Fish Symposium, Perth, Western Australia. Morgan, D.L., Beatty, S.J., (2013) Salted fish: a review of fishes in extreme salinity and how anthropogenic changes in salinity have driven community shifts in Western Australia. Ninth Indo-Pacific fish Conference, Okinawa, Japan. Beatty, S.J., Morgan, D.L., Tweedley, J. (2013) Salted fish: a review of fishes in extreme salinity and how anthropogenic changes in salinity have driven community shifts in Western Australia. Ninth Indo-Pacific fish Conference, Okinawa, Japan. McKay B., Morgan D., & Beatty, S. (2012). History of cichlids in Western Australian aquatic ecosystems. Seewraj, K., Beatty, S., Allen, M., Keleher, J. (2011) Fish passage for on-stream dams in farms of south west Western Australia: a Large-scale case study. 5th Australian Technical Workshop on Fishways, Townsville, Australia. Beatty, S., de Graaf, M., Molony, B., Nguyen, V., & Pollock, K. (2011). Plasticity in population biology of Cherax cainii (Decapoda: Parastacidae) inhabiting lentic and lotic environments in south-western Australia: Implications for the sustainable management of the recreational fishery. Australian Society for Fish Biology, Annual Meeting, Townsville, Australia. July 2011. Klunzinger M, Beatty S, Thomson G & Lymbery A (2010) ‘Glochidia tooth morphology of the freshwater mussel Westralunio carteri (Iredale 1934) of south-west Western Australia.’ Tropical Natural History Suppl. 3: 246 (abstr.). Beatty, S.J. & Morgan D.L. (2010). Freshwater fishes in a biodiversity hotspot: use of multiple sampling techniques reveals groundwater sustains remnant populations in south-western Australia. River Symposium Perth, Western Australia, October 2010. Beatty, S.J. & Morgan D.L. (2010). Freshwater fishes in a biodiversity hotspot: use of multiple sampling techniques reveals groundwater sustains remnant populations in south-western Australia Fish Sampling with Active Methods. České Budějovice, Czech Republic. September 2010. Klunzinger M W, Beatty S & Lymbery A (2010), Acute salinity tolerance of the freshwater mussel Westralunio carteri (Iredale, 1934) of south-west Western Australia, In: 17th International Congress of UNITAS MALACOLOGICA, World Congress of Malacology,18-24 July 2010, Phuket, Thailand. Tropical Natural History (Supplement 3). (Oral Presentation). Beatty, S.J. & Morgan D.L. (2010). Unique inland fishes of south-western Australia: how may climate change exacerbate current impacts? Australian Society for Fish Biology, Annual Meeting, Melbourne, Australia. July 2010. Beatty, S.J. & Morgan D.L. (2009). Introduced fishes of Western Australia: what, where, impacts and actions. Oral presentation. 9th Indo-Pacific Conference and Australian Society for Fish Biology Annual Conference, Fremantle, Western Australia. Torre, A., Morgan, D.L. & Beatty, S.J. (2005). Fish passage – What’s happening in Western Australia? 4th Australian Technical Workshop on Fishways Conference Proceedings, Kununurra, Western Australia, 2005. Morgan, D., Gill, H., Maddern, M. & Beatty, S. (2003). Introduced fishes in Western Australia. Australian Society for Fish Biology, Annual Meeting, Wellington, New Zealand. Molony, B.M., *Beatty, S.J., Morgan, D.L., Gill, H.S. and Bird, C. (2004). The mitigation of the negative impacts of dam draining on fish and fisheries values at Waroona Dam, Western Australia. Oral presentation. Australian Society for Fish Biology, Annual Meeting, Adelaide, South Australia. Beatty, S.J., Morgan D.L. & McAleer F. (2008). Groundwater dependent fish communities in the Blackwood River: understanding migration patterns and the influence of salinisation and river connectivity. Oral presentation. Australian Society for Limnology. Annual Conference, Mandurah, Australia. Beatty, S.J. & Morgan D.L. (2008). Little fish under threat in a big state: south-western Western Australia’s endemic freshwater fishes. Oral presentation. Australian Society for Fish Biology, Annual Meeting, Sydney, Australia. Beatty, S.J., Morgan, D.L., McAleer, F.J., Koenders, A. & Horwitz, P. (2007). Fish and freshwater crayfish communities of the Blackwood River: migrations, ecology and the influence of surface and groundwater. Oral presentation. Australian Society for Fish Biology, Annual Meeting, Canberra, A.C.T. Australia. Beatty, S.J., Morgan, D.L. & Gill, H.S. (2006). The diet and trophic positions of translocated, sympatric populations of Cherax destructor and Cherax cainii in the Hutt River, Western Australia: evidence of resource overlap. Oral presentation. Australian Society for Fish Biology, Annual Meeting, Hobart, Tasmania. Australia. Beatty S., Morgan, D. & Gill, H. (2002). Reproductive biology of the marron Cherax tenuimanus (Smith, 1912), in Lake Navarino, south-western Australia. Poster presentation. Conference of the Australian Society of Limnology, Margaret River, Western Australia. Beatty S., Molony, B. & Morgan, D. (2002). Mitigation of negative impacts on fish and fisheries values during remedial works at Waroona Dam. Poster presentation. Conference of the Australian Society of Limnology, Margaret River, Western Australia. Why become a Murdoch Scientist? Workshop with 100 Year 6 students. Ninth Indo-Pacific fish Conference, Okinawa, Japan. Invited presentation: A review of fishes in extreme salinity and how anthropogenic changes in salinity have driven community shifts in Western Australia. Vasse-Wonnerup collaborative CFOC project (FFGFHU, Estuarine Research Group). 48 students in years 8, 10 & 100 from Georgiana Molloy came out to the Lower Vasse River to watch goldfish be caught and listened to talks of introduced fish. All students were given a free ID book on local freshwater fish. Murray Darling Basin Authority Gambusia Forum Melbourne Australia. Lessons from the West: Eastern Gambusia in Western Australia. Plascticity in population biology of Cherax cainii (Decapoda: Parastacidae) inhabiting lentic and lotic environments in south-western Australia: Implications for the sustainable management of the recreational fishery. Community Workshop Leschenault Catchment Council Bunbury Australia. Freshwater Fishes of south-western Australia and the Preston and Brunswick Rivers: threats and future research. Grand Roadshow Launch: fishes, crayfishes and freshwater mussels of south-western Australia. Roadshow Launch: fishes, crayfishes and freshwater mussels of south-western Australia. Community Presentation Mandurah Community, Mandurah Civic Centre. Freshwater Roadshow Launch: fishes, crayfishes and freshwater mussels of south-western Australia. 2011. Community Presentation Bunbury Civic Centre. Freshwater Roadshow Launch: fishes, crayfishes and freshwater mussels of south-western Australia. Community Workshop Chittering Landcare/Lotterywest Workshop. Fishes of Southwest Coast Drainage Division: implications of climatic and anthropogenic-driven hydrological change. Table 1 Media Engagement Activities: 105 Items: Conservative total value 2013-2017 (excl. missing/TBA values) = $544,532. Perth Researchers Discover Murray Cod in Wetland. Interview with James O’Loughlin. Impacts of introduced fishes. Discussed discovering the newest species of Australian freshwater fish. Saturday Breakfast ‘Roots and Shoots’ Show studio interview: ‘Native fishes’. Interviewed by Ron Tait discussed the dangers of introduced fish species. Newspaper article entitled ‘Feral fish infiltrating the Vasse-Wonnerup Estuary’ discussing the results of the community workshop. Story entitled ‘Uni to study impact of introduced species’ promoting the Vasse-Wonnerup collaborative CFOC project (FFGFHU, Estuarine Research Group). Story entitled ‘Fishy Vasse-Wonnerup Ramsar wetland project receives funding’ promoting the Vasse-Wonnerup collaborative CFOC project (FFGFHU, Estuarine Research Group). Groundwater proves key to sustaining south-west. Climate change threatens freshwater fish. Saving our vulnerable south-west fish species. ABC sourced, published in Yahoo7.West Australian. ‘Introduced fish species’ impact assessed’ promoting the Vasse-Wonnerup collaborative CFOC project (FFGFHU, Estuarine Research Group). Media release from Murdoch promoting the Vasse-Wonnerup collaborative CFOC project (FFGFHU, Estuarine Research Group). I strongly believe that a key responsibility of being an effective scientist is having direct interaction with the broader community to promote science in general, and Murdoch University specifically. Part of my role at Murdoch is promotion of science and the University into the broader community through media engagement, school and community workshops, presentations and fielddays. Some of my recent roles and community interactions are listed below. Member organising committee 9th Indo-Pacific / Australian Society for Fish Biology Conference 2009, and ASFB Albany 2017. I always have exciting, funded research projects available so drop me a line or call to chat about current oppotunities. Parasites of native and exotic freshwater fishes in the south-west of Western Australia. Anthropogenic impacts on the migration of freshwater fishes. The influence of changing oxygen concentrations on the movement patterns and spatial distribution of Acanthopagrus butcheri in the Swan River Estuary. Robson, B., Chester, E., Allen, M., Beatty, S., Chambers, J., Close, P., Cook, B., Cummings, C., Davies, P., Lester, R., Lymbery, A., Matthews, T., Morgan, D., Stock, M., (2013),Novel methods for managing freshwater refugesagainst climate change in southern AustraliaFinal Report,National Climate Change Adaptation Research Facility. Chambers, J., Nugent, G., Sommer, B., Speldewinde, P., Neville, S., Beatty, S., Chilcott, S., Eberhard, S., Mitchell, N., D'Souza, F., Barron, O., Braimbridge, M., Close, P., Robson, B., Pinder, A., Morgan, D., McFarlane, D., Froend, R., Horwitz, P., Cook, B., Davies, P., (2013),Adapting to climate change: a risk assessment and decision making framework for managing groundwater dependent ecosystems with declining water levels. Development and case studies.,National Climate Change Adaptation Research Facility. Beatty, S., Morgan, D., Keleher, J., Lymbery, A., Close, P., Speldewinde, P., Storer, T., Kitsios, A., (2013),Environmental variables in the habitats of south-western Australian freshwater fishes,National Climate Change Adaptation Research Facility. García-Díaz, P., Kerezsy, A., Unmack, P., Lintermans, M., Beatty, S., Butler, G., Freeman, R., Hammer, M., Hardie, S., Kennard, M., Morgan, D., (2018), Transport pathways shape the biogeography of alienfreshwater fishes in Australia,	Diversity and Distributions: a journal of conservation biogeography, , , pages -. Beatty, S., Tweedley, J., Cottingham, A., Ryan, T., Williams, J., Lynch, K., Morgan, D., (2018), Entrapment of an estuarine fish associated with a coastal surge barrier can increase the risk of mass mortalities,	Ecological Engineering, 122, , pages 229 - 240. Beatty, S., Allen, M., Whitty, J., Lymbery, A., Keleher, J., Tweedley, J., Ebner, B., Morgan, D., (2017), First evidence of spawning migration by goldfish (Carassius auratus); implications for control of a globally invasive species,	Ecology of Freshwater Fish, 26, 3, pages 444 - 455. Morgan, D., Ebner, B., Allen, M., Gleiss, A., Beatty, S., Whitty, J., (2017), Habitat use and site fidelity of neonate and juvenile green sawfish Pristis zijsron in a nursery area in Western Australia,	Endangered Species Research: international and multidisciplinary journal, 34, , pages 235 - 249. Beatty, S., Allen, M., Lymbery, A., Jordaan, M., Morgan, D., Impson, D., Marr, S., Ebner, B., Weyl, O., (2017), Rethinking refuges: Implications of climate change for dam busting,	Biological Conservation, 209, , pages 188 - 195. Norman, B., Holmberg, J., Arzoumanian, Z., Reynolds, S., Wilson, R., Rob, D., Pierce, S., Gleiss, A., De La Parra, R., Galvan, B., Ramirez-Macias, D., Robinson, D., Fox, S., Graham, R., Rowat, D., POTENSKI, M., LEVINE, M., McKinney, J., Hoffmayer, E., Dove, A., Hueter, R., Ponzo, A., Araujo, G., Aca, E., Rees, R., Duncan, A., Rohner, C., Prebble, C., Hearn, A., Acuna-Marrero, D., Berumen, M., Vazquez, A., Green, J., Bach, S., Schmidt, J., Beatty, S., Morgan, D., (2017), Undersea Constellations: The Global Biology of an Endangered Marine Megavertebrate Further Informedthrough Citizen Science,	BioScience: organisms from molecules to the environment, 67, 12, pages 1029 - 1043. Norman, B., Whitty, J., Beatty, S., Morgan, D., (2017), Do they stay or do they go? Acoustic monitoring of whale sharks at Ningaloo Marine Park,Western Australia,	Journal of Fish Biology, 91, 6, pages 1713 - 1720. Beatty, S., Morgan, D., (2017), Rapid proliferation of an endemic galaxiid following eradication of an alien piscivore (Perca fluviatilis) from a reservoir,	Journal of Fish Biology, 90, , pages 1090 - 1097. Rowland, F., Close, P., Beatty, S., Allen, M., Gill, H., Berkelaar, J., Morgan, D., (2017), Larval development and dietary ontogeny of a critically endangered galaxiid within a Mediterranean climatic zone of Australia,	Fishmed, , 2017, pages -. Allen, M., Beatty, S., Morgan, D., (2017), Aquatic Fauna Refuges in Margaret River and the Cape to Cape region of Australia's Mediterranean-climatic Southwestern Province,	Fishmed, , , pages 2 - 26. Morgan, D., Somaweera, R., Gleiss, A., Beatty, S., Whitty, J., (2017), An upstream migration fought with danger: freshwater sawfish fending off sharks and crocodiles,	Ecology, 98, 5, pages 1465 - 1467. Tweedley, J., Hallett, C., Beatty, S., (2017), Baseline survey of the fish fauna of a highly eutrophicestuary and evidence for its colonisation by Goldfish(Carassius auratus),	International Aquatic Research, 9, 3, pages 259 - 270. Beatty, S., de Graaf, M., Duffy, R., Nguyen, V., Molony, B., (2016), Plasticity in reproductive biology of the large freshwater crayfish Cherax cainii (Decapoda: Parastacidae) in south-western Australia,	Fisheries Research, 177, , pages 128 - 136. Ogston, G., Beatty, S., Morgan, D., Pusey, B., Lymbery, A., (2016), Living on burrowed time: Aestivating fishes in south-western Australia face extinction due to climate change,	Biological Conservation, 195, , pages 235 - 244. Morgan, D., Beatty, S., Close, P., Allen, M., Unmack, P., Hammer, M., Adams, M., (2016), RESOLVING THE TAXONOMY RANGE AND ECOLOGY OF BIOGEOGRAPHICALLY ISOLATED AND CRITICALLY ENDANGERED POPULATIONS OF AN AUSTRALIAN FRESHWATER GALAXIID GALAXIAS TRUTTACEUS,	Pacific Conservation Biology: a journal dedicated to conservation and wildlife management in the Pacific region, 22, 4, pages 350 - 359. Ebner, B., Morgan, D., Kerezsy, A., Hardie, S., Beatty, S., Seymour, J., Donaldson, J., Linke, S., Peverell, S., Roberts, D., Espinoza, T., Marshall, N., Kroon, F., Burrows, D., McAllister, R., (2016), Enhancing conservation of Australian freshwater ecosystems: identification of freshwater flagship fishes and relevant target audiences,	Fish and Fisheries, , , pages -. Beatty, S., de Graaf, M., Duffy, R., Nguyen, V., Molony, B., (2016), Plasticity in the reproductive biology of the smooth marron Cherax cainii (Decapoda: Parastacidae): A large freshwater crayfish of south-western Australia,	Fisheries Research, 177, , pages 128 - 136. Klunzinger, M., Beatty, S., Morgan, D., Pinder, A., Lymbery, A., (2015), Range decline and conservation status of Westralunio carteri Iredale, 1934 (Bivalvia:Hyriidae) from south-western Australia,	Australian Journal of Zoology, 63, 2, pages 127 - 135. Morgan, D., Allen, M., Ebner, B., Whitty, J., Beatty, S., (2015), Discovery of a pupping site and nursery for critically endangered green sawfish Pristis zijsron,	Journal of Fish Biology, 86, 5, pages 1658 - 1663. Close, P., Ryan, T., Morgan, D., Beatty, S., Lawrence, C., (2014), First record of 'climbing' and 'jumping' by juvenile Galaxias truttaceus Valenciennes, 1846 (Galaxiidae) from south-western Australia,	Australian Journal of Zoology, 62, 2, pages 175 - 179. Beatty, S., Morgan, D., Lymbery, A., (2014), Implications of climate change for potamodromous fishes,	Global Change Biology, 20, 6, pages 1794 - 1807. Morgan, D., Unmack, P., Beatty, S., Ebner, B., Allen, M., Keleher, J., Donaldson, J., Murphy, J., (2014), An overview of the 'freshwater fishes' of Western Australia,	Journal of the Royal Society of Western Australia, 97, , pages 263 - 278. Beatty, S., Seewraj, K., Allen, M., Keleher, J., (2014), Enhancing fish passage over large on-stream dams in south-western Australia: a case study,	Journal of the Royal Society of Western Australia, 97, , pages 313 - 330. Lymbery, A., Morine, M., Gholipourkanani, H., Beatty, S., Morgan, D., (2014), CO INVADERS THE EFFECTS OF ALIEN PARASITES ON NATIVE HOSTS,	International Journal for Parasitology: Parasites and Wildlife, 3, 2, pages 171 - 177. Klunzinger, M., Haag, W., Beatty, S., Morgan, D., Lymbery, A., (2014), Age and growth in the Australian freshwater mussel, Westralunio carteri, with an evaluation of the fluorochrome calcein for validating the assumption of annulus formation,	Freshwater Science, 33, 4, pages -. RASHNAVADI, M., Lymbery, A., Beatty, S., Morgan, D., (2014), Ecological response of an estuarine atherinid to secondary salinisation in south-western Australia,	Journal of the Royal Society of Western Australia, 97, , pages 343 - 353. Morgan, D., Beatty, S., Allen, M., Keleher, J., Moore, G., (2014), Long live the King River Perchlet (Nannatherina balstoni),	Journal of the Royal Society of Western Australia, 97, , pages 307 - 312. Ebner, B., Starrs, D., Morgan, D., Fulton, C., Donaldson, J., Doody, J., Cousins, S., Kennard, M., Butler, G., Tonkin, Z., Beatty, S., Broadhurst, B., Clear, R., Lintermans, M., Fletcher, C., (2014), Emergence of field-based underwater video for understanding the ecology of freshwater fishes and crustaceans in Australia,	Journal of the Royal Society of Western Australia, 97, , pages 287 - 296. Klunzinger, M., Thomson, G., Beatty, S., Morgan, D., Lymbery, A., (2013), Morphological and morphometrical description of the glochidia of Westralunio carteri Iredale, 1934 (Bivalvia: Unionoida: Hyriidae),	Molluscan Research, 33, 2, pages 104 - 109. Beatty, S., Morgan, D., Keleher, J., Allen, M., Sarre, G., (2013), The tropical South American cichlid, Geophagus brasiliensis in Mediterranean climatic south-western Australia,	Aquatic Invasions, 8, 1, pages 21 - 36. Morgan, D., Beatty, S., Adams, M., (2013), Nannoperca pygmaea, a new species of pygmy perch (Teleostei: Percichthyidae) from Western Australia,	Zootaxa, 3637, 4, pages 401 - 411. Beatty, S., Morgan, D., (2013), Introduced freshwater fishes in a global endemic hotspot and implications of habitat and climatic change.,	BioInvasions Records, 2, 1, pages 1 - 9. Klunzinger, M., Beatty, S., Morgan, D., Thomson, G., Lymbery, A., (2012), Glochidia ecology in wild fish populations and laboratory determination of competent host fishes for an endemic freshwater mussel of south-western Australia,	Australian Journal of Zoology, 60, 1, pages 26 - 36. Klunzinger, M., Beatty, S., Morgan, D., Lymbery, A., Pinder, A., Cale, D., (2012), DISTRIBUTION OF WESTRALUNIO CARTERI IREDALE 1934 BIVALVIA UNIONOIDA HYRIIDAE ON THE SOUTH COAST OF SOUTHWESTERN AUSTRALIA INCLUDING NEW RECORDS OF THE SPECIES,	Journal of the Royal Society of Western Australia, 95, 2, pages 77 - 81. Klunzinger, M., Beatty, S., Morgan, D., Lymbery, R., Thomson, G., Lymbery, A., (2011), DISCOVERY OF A HOST FISH SPECIES FOR GLOCHIDIA OF WESTRALUNIO CARTERI IREDALE 1934 BIVALVIA UNIONOIDEA HYRIIDAE,	Journal of the Royal Society of Western Australia, 94, 1, pages 19 - 23. Beatty, S., Morgan, D., RASHNAVADI, M., Lymbery, A., (2011), Salinity tolerances of endemic freshwater fishes of south-western Australia: Implications for conservation in a biodiversity hotspot,	Marine & Freshwater Research: advances in the aquatic sciences, 62, 1, pages 91 - 100. Morrongiello, J., Beatty, S., Bennett, J., Crook, D., Ikedife, D., Kennard, M., Kerezsy, A., Lintermans, M., McNeil, D., Pusey, B., Rayner, T., (2011), Climate change and its implications for Australia's freshwater fish,	Marine & Freshwater Research: advances in the aquatic sciences, 62, 9, pages 1082 - 1098. Beatty, S., de Graaf, M., Molony, B., Nguyen, V., Pollock, K., (2011), Plasticity in population biology of Cherax cainii (Decapoda: Parastacidae) inhabiting lentic and lotic environments in south-western Australia: Implications for the sustainable management of the recreational fishery,	Fisheries Research, 110, 2, pages 312 - 324. Lymbery, A., Hassan, M., Morgan, D., Beatty, S., Doupe, R., (2010), Parasites of native and exotic freshwater fishes in south-western Australia,	Journal of Fish Biology, 76, 7, pages 1770 - 1785. Beatty, S., Morgan, D., McAleer, F., Ramsay, A., (2010), Groundwater contribution to baseflow maintains habitat connectivity for Tandanus bostocki (Teleostei: Plotosidae) in a south-western Australian river,	Ecology of Freshwater Fish, 19, 3, pages 595 - 608. Klunzinger, M., Morgan, D., Lymbery, A., Ebner, B., Beatty, S., Thomson, G., (2010), Discovery of a host fish for glochidia of Velesunio angasi (Sowerby, 1867) (Bivalvia:Unionoida:Hyriidae) from the Fortescue River, Pilbara, Western Australia,	Australian Journal of Zoology, 58, 4, pages 263 - 266. Beatty, S., Morgan, D., (2010), Teleosts, agnathans and macroinvertebrates as bioindicators of ecological health in a south-western Australian River,	Journal of the Royal Society of Western Australia, 93, 2, pages 65 - 79. Whitty, J., Morgan, D., Peverell, S., Thorburn, D., Beatty, S., (2009), Ontogenetic depth partitioning by juvenile freshwater sawfish (Pristis microdon: Pristidae) in a riverine environment,	Marine & Freshwater Research: advances in the aquatic sciences, 60, , pages 306 - 316. Marina, H., Beatty, S., Morgan, D., Doupe, R., Lymbery, A., (2008), An introduced parasite, Lernaea cyprinacea, found on native freshwater fish in the south west of Western Australia,	Journal of the Royal Society of Western Australia, 91, , pages 149 - 153. Morgan, D., Beatty, S., (2008), The Donnelly River catchment: an important refuge for all of south-western Australia's endemic freshwater fishes and the pouched lamprey (Geotria australis),	The Western Australian Naturalist, 26, 2, pages 112 - 127. Morgan, D., Beatty, S., (2008), Fishes and freshwater crayfishes of major catchments of the Leschenault Estury: Preston and Brunswick River, including first record of a freshwater gudgeon (Eleotridae) from wouth-western Australia,	Journal of the Royal Society of Western Australia, 91, , pages 155 - 161. Morgan, D., Beatty, S., (2007), Feral Goldfish (Carassius auratus) in Western Australia: a case study from the Vasse River,	Journal of the Royal Society of Western Australia, 90, 3, pages 151 - 156. Tay, M., Lymbery, A., Beatty, S., Morgan, D., (2007), Predation by rainbow trout (Oncorhynchus mykiss) on a Western Australian icon: marron (Cherax cainii),	New Zealand Journal of Marine and Freshwater Research: international journal of aquatic science, 41, , pages 197 - 204. Morgan, D., Beatty, S., Torre, A., (2007), Restoring ecological connectivity in the Margaret River: Western Australia's first rock-ramp fishways,	Ecological Management & Restoration, 8, , pages 224 - 228. Morgan, D., Chapman, A., Beatty, S., Gill, H., (2006), Distribution of the spotted minnow (Galaxias maculatus (Jenyns, 1842)) (Teleostei: Galaxiidae) in Western Australia including range extensions and sympatric species,	Records of the Western Australian Museum, 23, , pages 7 - 11. Chapman, A., Morgan, D., Beatty, S., Gill, H., (2006), Variation in life history of land-locked lacustrine and riverine populations of Galaxias maculatus (Jenyns 1842) in Western Australia,	Environmental Biology of Fishes, 77, , pages 21 - 37. Morgan, D., Beatty, S., (2006), Use of a vertical-slot fishway by galaxiids in Western Australia,	Ecology of Freshwater Fish, 15, , pages 500 - 509. Beatty, S., (2006), The diet and trophic positions of translocated, sympatric populations of Cherax destructor and Cherax cainii in the Hutt River, Western Australia: evidence of resource overlap,	Marine & Freshwater Research: advances in the aquatic sciences, 57, , pages 825 - 835. Beatty, S., Morgan, D., Gill, H., (2005), Life history and reproductive biology of the gilgie Cherax quinquecarinatus, a freshwater crayfish endemic to south-western Australia.,	Journal of Crustacean Biology, 25, 2, pages 251 - 262. Beatty, S., Morgan, D., Gill, H., (2005), Biology of a translocated population of the large freshwater crayfish cherax cainii austin and ryan, 2002 in a western australian river,	Crustaceana: international journal of crustacean research, 11, 77, pages 1329 - 1351. Beatty, S., Morgan, D., Gill, H., (2005), Role of life history strategy in the colonisation of Western Australian aquatic systems by the introduced crayfish Cherax destructor Clark, 1936.,	Hydrobiologia: the international journal on limnology and marine sciences, 549, , pages 219 - 237. Morgan, D., Gill, H., Maddern, M., Beatty, S., (2004), Distribution and impacts of introduced freshwater fishes in Western Australia,	New Zealand Journal of Marine and Freshwater Research: international journal of aquatic science, 53, , pages 1211 - 1221. Beatty, S., Morgan, D., Gill, H., (2004), Biology of a translocated population of the large freshwater crayfish, Cherax cainii Austin & Ryan, 2002 in a Western Australian River,	Crustaceana: international journal of crustacean research, 77, 11, pages 1329 - 1351. Beatty, S., Morgan, D., Gill, H., (2003), Reproductive biology of the large freshwater crayfish Cherax cainii in south-western Australia.,	Marine & Freshwater Research: advances in the aquatic sciences, 54, , pages 597 - 608. Beatty, S., Molony, B., Rhodes, M., Morgan, D., (2003), A methodology to mitigate the negative impacts of dam refurbishment on fish and crayfish values in a south-western Australian reservoir.,	Ecological Management & Restoration, 4, , pages 147 - 149. Morgan, D., Hambleton, S., Gill, H., Beatty, S., (2002), Distribution, biology and likely impacts of the introduced redfin perch (Perca fluviatilis) (Percidae) in Western Australia,	Marine & Freshwater Research: advances in the aquatic sciences, 53, , pages 1211 - 1221. Beatty, S., Close, P., Morgan, D., Allen, M., Maughan, J., Keleher, J., Ryan, T., Lawrence, C., (2015),Conserving South-western Australias Rarest and Most Threatened Freshwater Fishes,In: STATE NRM CONFERENCE 2015. Morgan, D., Ramsay, A., Beatty, S., Ebner, B., Keleher, J., (2015),Pilbara freshwater fishes: field guide and documentary,In: STATE NRM CONFERENCE 2015. Klunzinger, M., Beatty, S., Lymbery, A., (2011),Freshwater mussel response to drying in the Lower Helena Reservoir and translocation as a conservation management strategy,In: Swan River Trust River Forum. Morgan D L, Beatty S J, Klunzinger M W, Allen M G & Burnham Q E (2011) ‘A Field Guide to Freshwater Fishes, Crayfishes & Mussels of South-Western Australia.’ Published by SERCUL & Freshwater Fish Group & Fish Health Unit (Murdoch University), Murdoch, Western Australia. Beatty, S., Ryan, T., Tweedley, J., Cottingham, A., Morgan, D. (2018). The movement of fish through the Vasse fish gate: 2017-18. Department of Water and Environmental Regulation, Busselton Freshwater Fish Group & Fish Health Unit, Centre for Sustainable Aquatic Ecosystems, Harry Butler Institute, Murdoch University. Beatty, S., Ryan, T., Morgan, D., (2018). Record Brook and Donnelly River ecological condition summary 2017-18: Water for Food Southern Forests Irrigation Scheme. Freshwater Fish Group & Fish Health Unit, Centre for Sustainable Aquatic Ecosystems. Harry Butler Institute. Murdoch University. Report to the Department of Water and Environmental Regulation, Government of Western Australia. Ryan, T.J., Beatty, S.J. Morgan, D.L. (2018). Status of Introduced Pearl Cichlid in the Upper Canning River. A Freshwater Fish Group & Fish Health Unit, Centre for Freshwater Fish Research, Murdoch University, Report to the Department of Biodiversity, Conservation and Attractions. Beatty, S., Ryan, T., Allen, M., Close, P., Morgan, D. (2017). Aquatic fauna assessment of fire waterpoints in the Frankland region, south‐western WA. Report to Department of Parks and Wildlife. Freshwater Fish Group & Fish Health Unit, Murdoch University, Western Australian Museum. CENRM, UWA Albany. Beatty, S., Ma, L., Lymbery, A. (2017) Baseline assessment of Carter’s Freshwater Mussel, Westralunio carteri, at proposed bridge construction sites on the lower Vasse River. Report to Strategen Environmental. Freshwater Fish Group and Fish Health Unit, Centre for Fish and Fisheries Research, School of Veterinary and Life Sciences, Murdoch University, Perth, Western Australia. Beatty, S., Ryan, T., Close, P., Morgan, D. (2017). Aquatic fauna and water quality management program: Denmark Dam draindown 2017. Report to Water Corporation of Western Australia. Freshwater Fish Group and Fish Health Unit, Centre for Fish and Fisheries Research, School of Veterinary and Life Sciences, Murdoch University, Perth, Western Australia. Ryan, T.J., Beatty, S.J., Morgan D.L. (2017). Assessment of fish populations and movement in the upper Canning River, Western Australia. A Freshwater Fish Group & Fish Health Unit, Centre for Fish & Fisheries Research, Murdoch University, report to the Department of Parks and Wildlife, Government of Western Australia. 10. Morgan, D.L., Beatty, S.J. (2016). Fishes in freshwaters of the Canning River, Western Australia. Freshwater Fish Group & Fish Health Unit, Murdoch University, report to the Department of Parks and Wildlife. 11. Morgan, D.L., Whitty, J., Allen, M., Gleiss, A., Beatty, S.J. (2016). Wheatstone sawfish offset strategy. Progress Report to Chevron Australia. Freshwater Fish Group & Fish Health Unit, Murdoch University. 12. Ryan, T., Beatty S., Keleher J., Morgan, D. (2016). Impact of the Kent Street Weir on fish migration in the Canning River. Report to Department of Parks and Wildlife. Freshwater Fish Group and Fish Health Unit, Centre for Fish and Fisheries Research, School of Veterinary and Life Sciences, Murdoch University, Perth, Western Australia. Ryan, T., Keleher J., Beatty S. (2016). Impact assessment of the Blackadder Creek Weir on fish movements: Winter – Spring 2015. Report to the City of Swan. Freshwater Fish Group & Fish Health Unit, Centre for Fish and Fisheries Research, Murdoch University, Perth, Western Australia. Storer, T., Bannister, J., Beatty, S., Crook, D., Bennet, K., (2016). Acoustic tracking of freshwater cobbler, Tandanus bostocki, in south-west Western Australian waterways. Water Science Technical Series, report no. 61, Department of Water, Western Australia. Tweedley, J.R., Cottingham, A. and Beatty, S.J. (2016). Monitoring the recruitment success of Black Bream in the Vasse-Wonnerup two years after a large fish kill. Centre for Fish and Fisheries Research, Murdoch University. Allen, M. G., Beatty, S. J., Morgan, D. L. (2015). Baseline survey of key fish refuges in the Margaret River. Freshwater Fish Group & Fish Health Unit (Murdoch University) report to the Cape to Cape Catchments Group and South West Catchments Council. 23 pp. Beatty, S., Keleher, J., Allen, M. (2015). Summary report: Removal of Tandanus tandanus from Lake Nimbin, Kalamunda. Report to the Shire of Kalamunda. Freshwater Fish Group & Fish Health Unit, Centre for Fish & Fisheries Research, Murdoch University, Perth, Western AustraliaBeatty, S., Keleher, J., Ryan, T., Allen, M., Morgan, D. (2015). Control of Goldfish and Koi Carp in Emu Lakes, City of Swan. Report to the City of Swan. Freshwater Fish Group and Fish Health Unit, Centre for Fish and Fisheries Research, Murdoch University, Perth, Western Australia. Cottingham, A., Tweedley, J.R., Green, A.T., Green, T.A., Beatty, S.J., Potter, I.C (2015). Key biological information for the management of Black Bream in the Vasse-Wonnerup. Report to GeoCatch and the State NRM Office. Centre for Fish & Fisheries Research, Murdoch University, Perth, Western Australia. Keleher, J., Beatty, S., Allen, M. (2015). Aquatic fauna of the dams on the Spring Gully Creek watercourse: a rehabilitated mining area in Greenbushes. Report to the Blackwood Basin Group. Freshwater Fish Group & Fish Health Unit, Centre for Fish & Fisheries Research, Murdoch University, Perth, Western Australia. Keleher, J. Beatty, S., Allen, M. (2015). Summary report: Removal of Goldfish and Koi from the lakes of Studmaster Park, Wanneroo. Report to the City of Wanneroo. Freshwater Fish Group & Fish Health Unit, Centre for Fish & Fisheries Research, Murdoch University, Perth, Western Australia. Morgan, D., Whitty, J., Keleher, J., Allen, M., Beatty, S.J. (2015). Impacts of barriers and fishways on sawfish – Wheatstone Sawfish Offest May 2015 Annual Update. Report to Chevron Australia and WAMSI. Allen, M.G., Beatty, S.J., Morgan, D.L., Keleher, J. (2014). Feral fish control activities in the South West Linkages Target Area. Report to the South West Catchments Council. Freshwater Fish Group and Fish Health Unit, Murdoch University 13 pp. Beatty, S., Allen, M., Keleher, J., Morgan, D. (2014). Fishes and crayfishes of Bennett Brook and Whiteman Park. Report to Whiteman Park. Freshwater Fish Group and Fish Health Unit, Murdoch University, Perth, Western Australia. Beatty, S., Keleher, J., Morgan, D., Allen, M., Strehlow, K. (2014). Aquatic Fauna Survey of Denmark Dam. Report to the Water Corporation of Western Australia. Freshwater Fish Group and Fish Health Unit, Murdoch University, Perth, Western Australia. Beatty, S.J. Tweedley, J.R. Allen, M.G. Allen, Keleher, J., Lymbery, A.J. (2014). Control of introduced fish and crayfish in the Vasse-Wonnerup Ramsar Wetland. Report to Commonwealth Government of Australia. Freshwater Fish Group and Fish Health Unit, Murdoch University 160 pp. Keleher, J., Beatty, S., Allen, M., Morgan, D. (2014). The Fish and Crayfish Fauna of Yangebup Lake. Report to the City of Cockburn. Freshwater Fish Group and Fish Health Unit, Murdoch University, Perth, Western Australia. Tweedley, J.R., Keleher, J., Cottingham, A., Beatty S.J., Lymbery, A.J. (2014). The fish fauna of the Vasse-Wonnerup and the impact of a substantial fish kill event. Centre for Fish and Fisheries Research, Technical Report to Geocatch. 116 pp. Allen, M.G., Beatty, S.J., Morgan, D.L. (2013). Fish survey of Brookfield Estate, Darch Brook & Margaret River: evidence of eradication of goldfish from a Western Australian river. Report to the Cape to Cape Catchments Group. Freshwater Fish Group and Fish Health Unit, Murdoch University, 6 pp. Beatty, S.J., Morgan, D.L., Allen, M.G. (2013). Assessment of the population sustainability of freshwater fishes and crayfishes of the Angove River, Western Australia: Autumn 2013. Report to Bio Diverse Solutions. Freshwater Fish Group and Fish Health Unit, Murdoch University, 11 pp. Beatty, S., Morgan, D., Keleher, J., Allen, M., Strehlow, K. (2013). Aquatic fauna of Southampton Pool, Blackwood River: an assessment of the potential impacts during construction of a subterranean pipeline. Report to the Water Corporation of Western Australia. Freshwater Fish Group and Fish Health Unit, Murdoch University, Perth, Western Australia. Beatty, S., Morgan, D., Keleher, J., Allen, M., Strehlow, K. (2013). Supplementary survey of aquatic fauna of Southampton Pool, Blackwood River: an assessment of the potential impacts during construction of a subterranean pipeline. Report to the Water Corporation of Western Australia. Freshwater Fish Group and Fish Health Unit, Murdoch University, Perth, Western Australia. Morgan, D.L., Beatty, S.J., Allen, M.G. (2013). Fishes and crayfishes of Turner Brook: Past and Present. Report to the Cape to Cape Catchments Group. Freshwater Fish Group and Fish Health Unit, Murdoch University, 15 pp. Tweedley, J.R., Beatty, S.J., Lymbery, A.J. (2013). Control of introduced fish and crayfish in the Vasse-Wonnerup Ramsar Wetland. Final MERI Report to Commonwealth Government of Australia. Freshwater Fish Group and Fish Health Unit, Murdoch University 42 pp. Beatty, S., Morgan, D. (2012). Assessment of the likelihood of the Western Mud Minnow (Galaxiella munda) occurring within Eneminga Swamp and Caro Swamp, Cataby, Western Australia. Freshwater Fish Group & Fish Health Unit, Murdoch University, report to Iluka Resources Limited. Beatty, S. Allen, M., Keleher J. (2012) Assessment of the Rushy Creek fishway system, south-western Australia. Freshwater Fish Group and Fish Health Unit, Murdoch University. Report to the Department of Water, Government of Western Australia, 43 pp. Klunzinger, M.W., Beatty, S.J., Allen, M.G., Keleher J. (2012). Mitigating the impact of Serpentine Pipehead Dam works on Carter’s Freshwater Mussel. Freshwater Fish Group and Fish Health Unit, Murdoch University. Report to the Department of Fisheries, Government of Western Australia, 19 pp. Morgan, D.L., Allen, M.G., Beatty, S.J. (2012). Assessment of potential impacts to sawfishes based on modelling of dredging and sediment disposal for the Port Hedland Outer Harbour. Report to BHP Billiton Iron Ore.
Beatty, S., Allen, M., Morgan, D., Strehlow, K., Janicke, G. (2011). Ecological significance of the fish, macroinvertebrates and riparian vegetation in the Mitchell River catchment. Centre for Fish & Fisheries Research, Murdoch University Report to Water Corporation of Western Australia. Beatty, S., Morgan, D., Keleher, J. (2011). 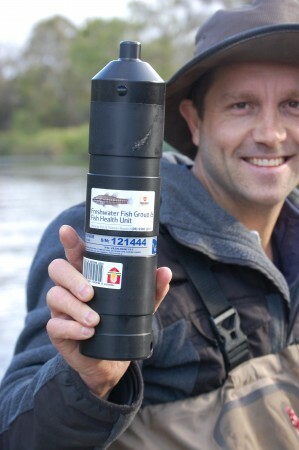 Goldfish control in the Vasse River: summary of the 2011 programme. Technical Report to GeoCatch. Freshwater Fish Group and Fish Health Unit, Murdoch University. Klunzinger, M.W., Beatty, S.J., Allen, M.G., Morgan, D.L., Lymbery, A.J. (2011). Ecology of aquatic fauna in the Serpentine River in response to land use practices & recommendations for improving freshwater ecosystem health. Centre for Fish & Fisheries Research, Murdoch University Report to Lowlands Conservation Association, Serpentine River Group and the Government of Western Australia. Klunzinger, M.W., Beatty, S.J., Lymbery, A.J. (2011). Freshwater mussel response to drying in the Lower Helena Pipehead Dam & mussel translocation strategy for conservation management. Centre for Fish & Fisheries Research (Murdoch University), report to Swan River Trust. Klunzinger, M.W., Strebel, D., Beatty, S.J., Morgan, D.L., Lymbery, A.J. (2011) Baseline assessment of freshwater mussel populations within the urban waterways renewal project. Centre for Fish & Fisheries Research (Murdoch University), report to SERCUL. Beatty, S.J., Morgan, D.L., Klunzinger, M., Lymbery, A.J. (2010). Aquatic macrofauna of Ellen Brook and the Brockman River: fresh water refuges in a salinised catchment. Centre for Fish & Fisheries Research, Murdoch University Report to the Ellen Brockman Integrated Catchment Group. Beatty, S., Morgan, D., Sarre, G., Cottingham, A., Buckland, A. (2010). Assessment of the distribution and population viability of the Pearl Cichlid in the Swan River catchment, Western Australia. Freshwater Fish Group & Fish Health Unit (Centre for Fish & Fisheries Research, Murdoch University), report to the Swan River Trust. Morgan, D.L., Beatty, S.J. (2010). Interannual variation of the fish fauna associated with Snake (Uralla) Creek, Fitzroy River, Kimberley, Western Australia. Centre for Fish & Fisheries Research, Murdoch University, report to Liveringa Pastoral Co.
Morgan, D., Beatty, S., Lymbery, A., Adams, M., Murphy, J., Keleher, J. (2010). Aquatic fauna values of the Mitchell and Quickup Rivers. Centre for Fish & Fisheries Research, Murdoch University, report to the Water Corporation of Western Australia. De Graaf, M., Beatty, S. and Molony, B.M. (2010). Evaluation of the recreational marron fishery against environmental change and human interaction. Baxter, D. and Larsen, R. (editors) Final report to Fisheries Research and Development Corporation on Project No. 2003/027. Fisheries Research Report No. 211. Department of Fisheries, Western Australia. 188pp. Beatty, S.J., Morgan, D.L. (2009). Assessment of the population sustainability of freshwater fishes and crayfishes of the Angove River, Western Australia: Autumn 2009. For Opus Consultants. Centre for Fish & Fisheries Research, Murdoch University, Western Australia. Beatty, S.J., Morgan, D.L. (2009). Goldfish control in the Vasse River: summary of the 2008 programme. Technical report to Geocatch. Centre for Fish & Fisheries Research, Murdoch University, Western Australia. Beatty, S. Morgan, D., Allen, M. (2009). Freshwater fish and crayfish communities of the Carbunup and Buayanyup Rivers: conservation significance and management considerations. Technical report to Geocatch. Centre for Fish & Fisheries Research, Murdoch University, Western Australia. Morgan, D.L., Beatty, S.J., Sarre, G.A. (2009). Ascending the Avon: fishes of the Northam Pool, and the Swan-Avon catchment. Centre for Fish & Fisheries Research, Murdoch University, Western Australia. Morgan, D., Ebner, B., Beatty, S. (2009). Fishes in groundwater dependent pools of the Fortescue and Yule Rivers; Pilbara, Western Australia. Technical report to the Department of Water, Government of Western Australia. Centre for Fish & Fisheries Research, Murdoch University, Western Australia. Beatty, S.J., McAleer, F.J., Morgan, D.L. (2008). Interannual variation in fish migration patterns and habitats of the Blackwood River and its tributaries: annual progress report. Centre for Fish & Fisheries Research, Murdoch University Report to Department of Water. Beatty, S., Morgan, D. (2008). Fishway assessment for the Pinjarra Weir. Centre for Fish & Fisheries Research, Murdoch University Report to Peel-Harvey Catchment Council. Beatty, S.J., Morgan, D.L. (2008). Freshwater fish and crayfish monitoring of Angove River, Western Australia: Autumn 2008. For Opus Consultants. Centre for Fish & Fisheries Research, Murdoch University, Western Australia. Beatty, S.J., Morgan, D.L. (2008). Monitoring the Margaret River Fishways – 2007. Centre for Fish & Fisheries Research, Murdoch University Report to Cape to Cape Catchments Group and Department of Water. Beatty, S.J., Morgan, D.L., Fazeldean, T. (2008). McLeod Creek (Blackwood River) fish survey: December 2007. Centre for Fish & Fisheries Research, Murdoch University Report to Lower Blackwood Landcare. Morgan, D.L., Beatty, S.J. (2008). Check structures and fish and crayfish fauna in the Harvey Irrigation Area. Centre for Fish & Fisheries Research, Murdoch University Report to Department of Water. Morgan, D.L., Beatty, S.J. (2008). Fish and freshwater crayfish of Boodjidup Brook, south-western Australia. Centre for Fish & Fisheries Research, Murdoch University Report to Cape to Cape Catchment Group. Morgan, D.L., Beatty, S.J., de Graaf, M., Hugh, C.W. (2008) Risk of inter-basin water transfer to the aquatic fauna of the Denmark and Hay Rivers. Report to the Water Corporation of Western Australia. Centre for Fish and Fisheries Research, Murdoch University. Biodiversity and Biosecurity Branch, Department of Fisheries Western Australia. Morgan, D., Beatty, S., Kurata, K. (2008). Feral Goldfish (Carassius auratus) in the Warren River catchment. Centre for Fish & Fisheries Research, Murdoch University Report to Southern Forests Landcare. Morgan, D.L., Beatty, S.J., McAleer, F.J., Fazeldean, T. (2008). Survey of Rainbow Trout in Bancell Brook: following the cessation of a stocking programme. Centre for Fish & Fisheries Research, Murdoch University Report to Peel-Harvey Catchment Council. Phillips, N., Chaplin, J., Morgan, D., Beatty, S. (2008). The evolutionary significance of Balston’s Pygmy Perch and Mud Minnow populations in the Blackwood River. Centre for Fish & Fisheries Research, Murdoch University Report to Department of Water. Beatty, S., McAleer, F., Morgan, D. (2007). Environmental water provisions for fish and crayfish communities of Samson Brook and Harvey River: Annual monitoring report 2007. Centre for Fish & Fisheries Research, Murdoch University Report to the Water Corporation of Western Australia. Beatty, S.J., Morgan, D.L. (2007). Assessment of water quality and fish communities of the Blackwood River during pump testing of Nb012-001 Nannup bore, November 2007. Centre for Fish & Fisheries Research, Murdoch University Report to Lowes Churchill and Associates. Beatty, S., Morgan, D. (2007). Fish and macroinvertebrate communities of the Warren River, Western Australia. Centre for Fish & Fisheries Research, Murdoch University Report to Southern Forest Landcare. Morgan, D.L., Beatty, S.J. (2007). Fish migrations patterns on the Margaret River fishways: 2006. Centre for Fish & Fisheries Research, Murdoch University Report to Department of Water and Cape to Capes Catchments Group. Morgan, D.L., Beatty, S.J. (2007). Freshwater fish and crayfish monitoring of the Angove River, Western Australia. Centre for Fish & Fisheries Research, Murdoch University Report to the Water Corporation of Western Australia. Morgan, D.L. & Beatty, S.J. (2007). Western Australian fishways: prioritisation process. Centre for Fish & Fisheries Research, Murdoch University Report to Department of Water. Morgan, D.L., Beatty, S.J., McAleer, F.J. (2007). Canning River – freshwater fishes and barriers to migrations. Centre for Fish & Fisheries Research, Murdoch University Report to Department of Water and South East Regional Centre for Urban Landcare. Beatty, S., Morgan, D. (2006). Management of aquatic fauna during refurbishment of Phillips Creek Reservoir. Murdoch University, Centre for Fish & Fisheries Research, Murdoch University Report to the Water Corporation of Western Australia. Beatty, S.J., Morgan, D.L. (2006). Monitoring the adequacy of Environmental Water Provisions for fish and crayfish communities of Samson Brook, Harvey River and Harris River. Centre for Fish & Fisheries Research, Murdoch University Report to the Water Corporation W.A. Beatty, S., Morgan, D. Jury, C., Mitchell, J. (2006). Fish and freshwater crayfish in streams in the Cape Naturaliste region and Wilyabrup Brook. Centre for Fish & Fisheries Research, Murdoch University Report to the Cape to Capes Catchment Group and GeoCatch. Beatty, S., Morgan, D., McAleer F., Koenders A., Horwitz P. (2006). Fish and freshwater crayfish communities of the Blackwood River: migrations, ecology and the influence of surface and groundwater. Centre for Fish & Fisheries Research, Murdoch University Report to South-west Catchments Council and Department of Water, Western Australia. Beatty, S., Morgan, D., Tay, M. (2006). Management of aquatic fauna during the refurbishment of Churchman Brook Reservoir. Murdoch University, Centre for Fish & Fisheries Research report to the Water Corporation of Western Australia. Morgan, D., Beatty, S. (2006). Fish and freshwater crayfish communities of the Brunswick and Preston Rivers. Centre for Fish & Fisheries Research, Murdoch University Report to the Leschenault Catchment Council. Morgan, D., Beatty, S. (2006) Fish fauna of the Donnelly River, Western Australia. Centre for Fish & Fisheries Research, Murdoch University Report to Southern Forest Landcare. Morgan, D., Beatty, S. (2006). Freshwater fish and crayfish monitoring of the Angove River, Western Australia. Centre for Fish & Fisheries Research, Murdoch University Report to Opus Consultants. Morgan, D.L., Beatty, S.J. (2006). Overview of the feral Goldfish Control Programme in the Vasse River, Western Australia: 2004-2006. Centre for Fish & Fisheries Research, Murdoch University Report to Geocatch. Morgan, D., Beatty, S. (2006). Re-establishment of native freshwater fishes in Bull Creek. Report to Melville City Council. Molony, B.M., Beatty, S.J., Bird, C., Nguyen, V. (2005). The mitigation of the negative impacts of dam draining on fish and fisheries values at Waroona Dam, Western Australia. Fisheries Research Contract Report No. 12. Department of Fisheries, Western Australia. Morgan, D.L., Beatty, S.J. (2005). Baseline study on the fish and freshwater crayfish fauna in the Blackwood River and its tributaries receiving discharge from the Yarragadee Aquifer. Centre for Fish & Fisheries Research, Murdoch University Report to the Department of Environment, Government of Western Australia. Morgan, D., Beatty, S. (2005). Control of feral Goldfish (Carassius auratus) in the Vasse River. Centre for Fish & Fisheries Research, Murdoch University Report to the Vasse-Wonnerup LCDC. Morgan, D., Beatty, S. (2005). Fish and crayfish fauna of Ellen Brook, Cowaramup Brook and Gunyulgup Brook in the Cape to Cape Region of Western Australia. Centre for Fish & Fisheries Research, Murdoch University Report to Ribbons of Blue/Waterwatch WA. Morgan, D., Beatty, S. (2005). The Goodga River Fishway – two years of monitoring the Western Australian trout minnow (Galaxias truttaceus). Centre for Fish & Fisheries Research, Murdoch University Report to the Department of Fisheries Western Australia. Morgan, D., Beatty, S., McAleer, F. (2005). The Lion’s Weir Fishway – Hotham River, Western Australia. Centre for Fish & Fisheries Research, Murdoch University Report to the Peel-Harvey Catchment Council. Beatty, S., Morgan, D. (2004). Assessing the requirement for fishways on Gingin Brook. Centre for Fish & Fisheries Research, Murdoch University Report to the Gingin Land Conservation District Committee. Morgan, D., Beatty, S. (2004). Margaret River Fishway. Centre for Fish & Fisheries Research, Murdoch University Report to the Margaret River Regional Environment Centre. Morgan, D., Beatty, S. (2004). Monitoring the Lion’s Weir Fishway Hotham River, Western Australia. Centre for Fish & Fisheries Research, Murdoch University Report to the Department of Environment, Government of Western Australia. Morgan, D., Beatty, S. (2004). The aquatic macrofauna of Pinwernying Dam (Katanning). Centre for Fish & Fisheries Research, Murdoch University Report to the Water Corporation of Western Australia. Morgan, D., Beatty, S. (2004). Fish fauna of the Vasse River and the colonisation by feral goldfish (Carassius auratus). Centre for Fish & Fisheries Research, Murdoch University Report to the Department of Environment, Government of Western Australia. Morgan, D., Beatty, S. (2004). Fish utilisation of the Goodga River Fishway conserving the Western Australian trout minnow (Galaxias truttaceus). Centre for Fish & Fisheries Research, Murdoch University Report to Fisheries Western Australia. Morgan, D., Beatty, S., Gill, H., Thorburn, D., Rowland, A. (2004). Assessment of the impact of groundwater discharge from the Yarragadee Aquifer on the fish and decapod fauna of Rosa Brook. Centre for Fish & Fisheries Research, Murdoch University Report to the Water Corporation of Western Australia. Beatty, S., Morgan, D., Gill, H. (2003). Fish resource survey of Churchman Brook Reservoir. Centre for Fish & Fisheries Research, Murdoch University Report to the Water Corporation of Western Australia. Beatty, S., Morgan, D., Gill, H. (2003). Fish resource survey of Phillips Creek Reservoir. Centre for Fish & Fisheries Research, Murdoch University Report to the Water Corporation of Western Australia. Molony, B., Beatty, S., Morgan, D. (2003). Fish survey of Bottle Creek Reservoir. Centre for Fish & Fisheries Research, Murdoch University Report to the Water Corporation of Western Australia. Morgan, D., Beatty, S. (2003). Fish and decapod fauna of Bancell Brook (Harvey River) and the impacts of irrigation slot boards on migrations. Centre for Fish & Fisheries Research, Murdoch University Report to the Southern Peel Partnership Landcare Group. Morgan, D., Beatty, S. (2003). Fish fauna of Margaret River Western Australia. Centre for Fish & Fisheries Research, Murdoch University Report to the Margaret River Regional Environment Centre. Morgan, D., Beatty, S. (2003). Fish fauna of the Hotham River including the impact of the Lion’s Weir on fish migration. Centre for Fish & Fisheries Research, Murdoch University Report to the Water and Rivers Commission of Western Australia Boddington Rivers Action Group. Morgan, D., Beatty, S. (2003). Freshwater fishes of the Walpole River and impact of the weir to fish and lamprey migrations. Centre for Fish & Fisheries Research, Murdoch University Report to Fisheries Western Australia. Morgan, D., Gill, H., Beatty, S. (2003). Fish stock enhancement of Lake Booyeembarra. Centre for Fish & Fisheries Research, Murdoch University Report to the Fremantle City Council. Beatty, S., Morgan, D. (2000). The polyculture of western pygmy perch Edelia vittata with marron Cherax tenuimanus at the ALCOA Willowdale marron farm. Centre for Fish & Fisheries Research, Murdoch University Report to ALCOA, Australia. Morgan, D., Beatty, S. (2000). Breeding of western pygmy perch Edelia vittata. Centre for Fish & Fisheries Research, Murdoch University Report to the Department of Fisheries, Western Australia. Beatty, S.J., Tweedley, J., Williams, J., Keleher, J., Whitty, J., Morgan, D.L., Allen, M. (2017). One-way traffic: Black Bream passage through a storm surge barrier. Australian Society for Fish Biology Annual Meeting, Albany, Australia. July 2017. Morgan D., Ramsay A., Allen M., Beatty S., Ebner B., Keleher J. (2015) Freshwater fish films and field guide for the Indian Ocean Drainage Division (Pilbara Province). Western Australian State NRM Conference, Mandurah, Australia.